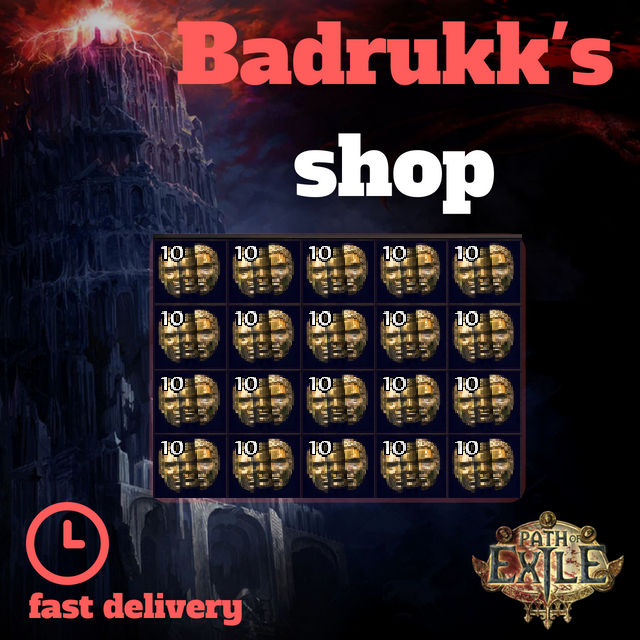 Welcome to Badrukk's Path of exile shop! Cheap price. Professional service. Only Handmade orbs. - No empty trades, leave rare or useless uniq items in the trade window. - Pls, don't mention Odealo.com or RMT, it's for your safety. - Every purchase that is made will receive free currency (send me private message if you want special discount).